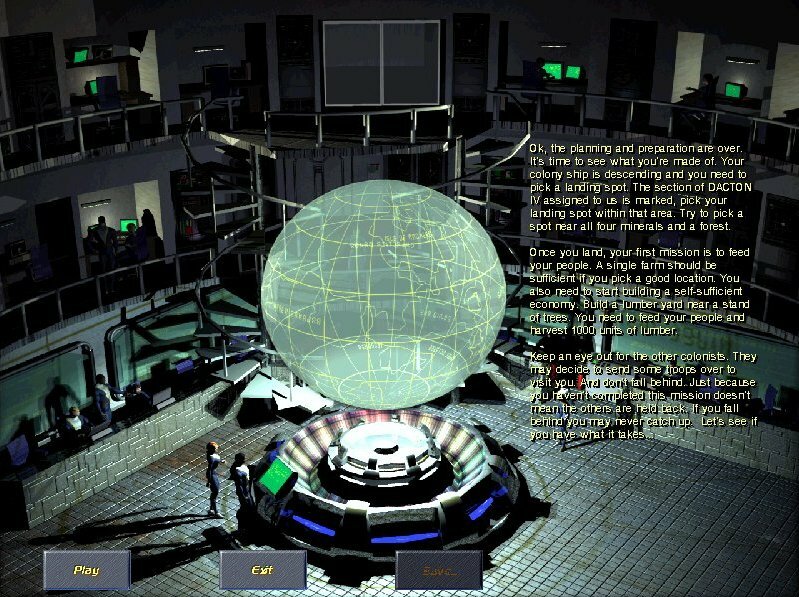 In a network game you need to select which network protocol you wish to use. 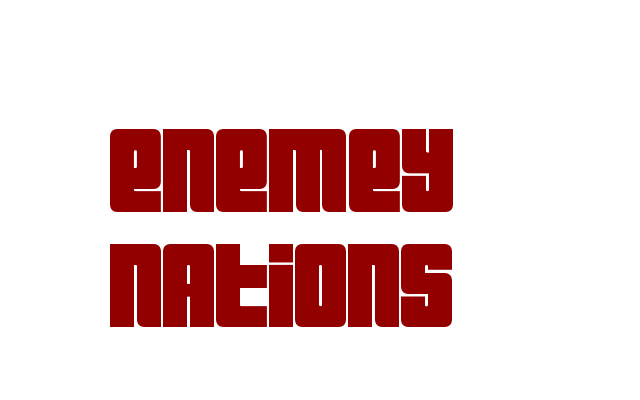 Enemy Nations supports each major net protocol. In the Training Grounds you receive your inital mission orders. 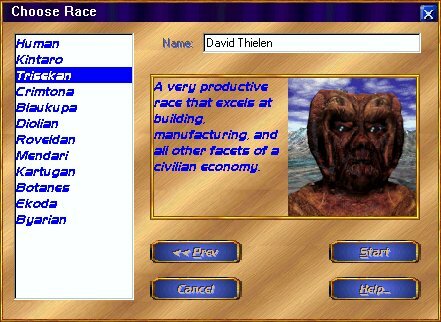 In both cases you then choose which race you wish to play. 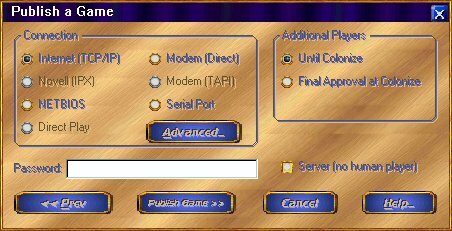 Native network support for TCP/IP (Internet), IPX (Novell), NETBIOS, TAPI, MODEM, and serial play. No limit on the number of players in multi-player games (only tested to 20 players). Includes a server to find all available other players over the Internet. Twelve races each with significant differences in over 10 attributes. The world size is dependent on the number of players so large multi-player games do not put you right next to your opponents.